Hey everybody and welcome to my article on the best health coach certifications. With various options to choose from, they can be challenging to select the health coach program that fits you the best. After this article, you will have a much better feeling about which one you should pursue! Afterward, I recommend checking the article on how to become a health coach! I also recommend my article on the best nutrition certifications as well as the greatest corrective exercise certifications. 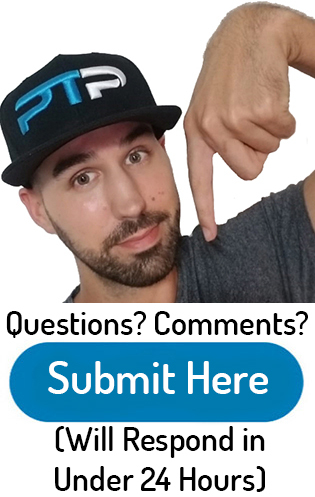 If you have any questions or concerns about health coach programs, drop me a comment here and I will get back to you within 24 hours. The health coach certification from the American Council on Exercise is geared more towards fitness professionals such as personal trainers certified nutritionist. There are two separate packages available from ACE, and they both contain slightly different study material to prepare yourself for the test. All of this material is self-study material. You can study for the ACE health coach certification in your own time at your own pace. When you are ready to take the exam finally, you can register at one of their 500 testing locations. The only requirements are that you are at least 18 years old, have a valid CPR/AED certification, and have a valid and accredited general personal training certification (or the work experience equivalent). The standard option costs $599 but is frequently brought down to $549 on their website. The premium health coach certification usually cost $749, but I frequently see it brought down to $599. My overall view of this certification is magnificent. When I went through the process, I enjoyed their helpful interactive study materials that the program comes with. You will learn a ton of information on how to change the habits of your client. In turn, helping to prevent obesity, depression, and tons of other societal problems. The American Council on exercise his overall a very well recognized certifying agency in the health and fitness space. They have a very popular CPT certification and work hard towards continuing evolving in the area of health and fitness. 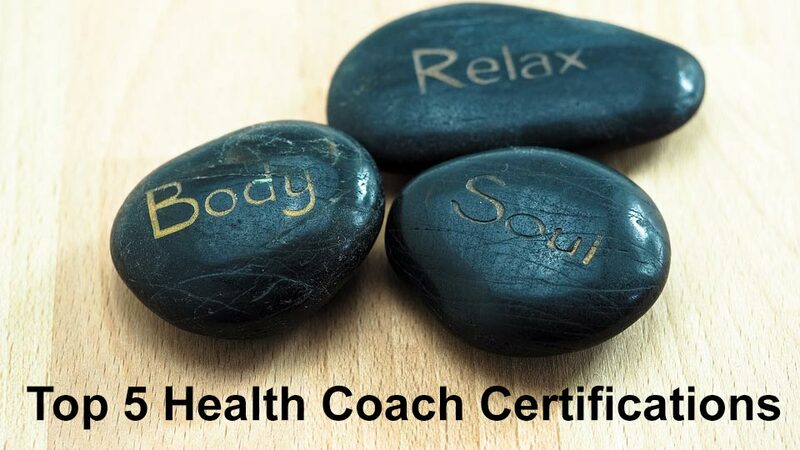 It is also the only health coach certification that is NCCA accredited. This means that is the Institute of credentialing excellence has recognized the ACE curriculum and certification as providing very competent and professional information. This is probably the most prestigious health coach certification in the industry due to such strict standards of entry. The NSHC program is only available to professionally licensed healthcare individuals. This includes physicians, nurses, certified nutrition specialists, pharmacists, psychologists, physicians, athletic trainers, dental hygienists, it certified clinical counselors, ACSM certified acupuncturist, ACSM licensed exercise psychologist as well as many other credentialed professionals. 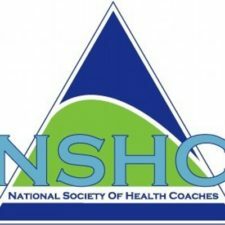 With purchasing the national Society of health coaches certification, you also receive a one-year NSHC membership. This membership comes with free support online or over the phone, access to live webinars, the most recent articles from NSHC, online tools and much more. 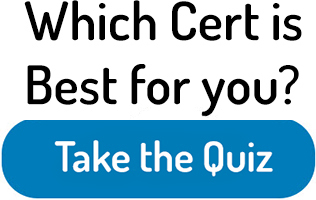 If you would like to get this certification that is not a licensed health care professional, they have the option to take the test and receive what’s called a certificate of completion credential. This is different than their full certification. It just lets people know that you have learned the material on the health coach certification but are not as qualified as a healthcare professional. The NSHC allows for organizations to do bulk orders, so the pricing depends on how many registrations. For the sake of this article, I’m guessing that you are not an organization looking to certify all of their employees. The cost for one NSHC certification this $485. This includes the one-year membership that will need to be renewed after 365 days. The yearly renewal fee is $50. This is a very highly regarded certification in the health coaching industry. They have a rigorous and standardized approach to health coaching with every aspect being evidence-based and research driven. Any healthcare provider will recognize this certification and respect it. Unfortunately, for those that are not already a licensed health care professional, will not be able to get the full certification. The “certificate of completion” is only available. Founded in 2002, the Wellcoaches school of coaching have been collaborating with ACSM (the American college of sports medicine) to be a primary influence in the health coaching field. The general certification takes approximately 18 weeks to finish and ends with a written and oral test that one needs to pass to get credentialed. This is only the first part of the certification; the second part is a 10-month program. The initial certification is needed to start this 10-month curriculum. There are also two forms of certification that they offer. The first is called their “certified health and wellness coach” and is for licensed health professionals who wish to integrate health coach training principles with their patients. To be allowed into their full certified health and wellness coach program, you need to hold a bachelors degree in a health related field with the addition of an NCCA accredited certification and a minimum of 2000 hours of work experience. Tons of other eligibility requirements can be seen here. The second certification option is for nonlicensed professionals and is called the “certified personal Coach” certification. This option is more for fitness professionals such as personal trainers. This gives you the overall knowledge to work with your clients and improve their well-being and Outlook on health and fitness. The general form of study materials that they provide is live workshops and interactive online classes. There are also three individual mentoring sessions and the general textbook for the program. You are required to recertify every three years with continuing education. The overall cost of the Wellcoaches certification the $650. The Wellcoaches program is a very good one overall. I like how they have two options, one for licensed health care providers in one geared towards individuals in the health and fitness space. 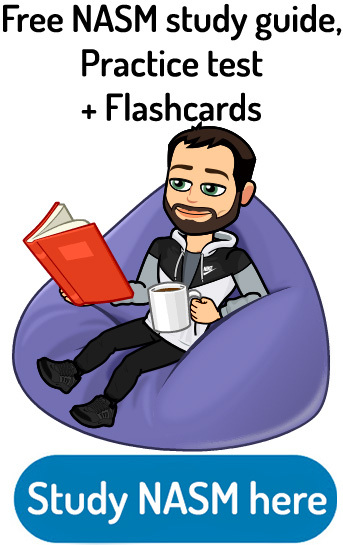 Overall they have a unique approach to the study materials that they provide. There’s a ton of information on how to combat essential problems such as the obesity epidemic, sedentary lifestyles, stress, and depression. The Duke integrative health coach program is unique in the way it teaches its students about wellness coaching principles. 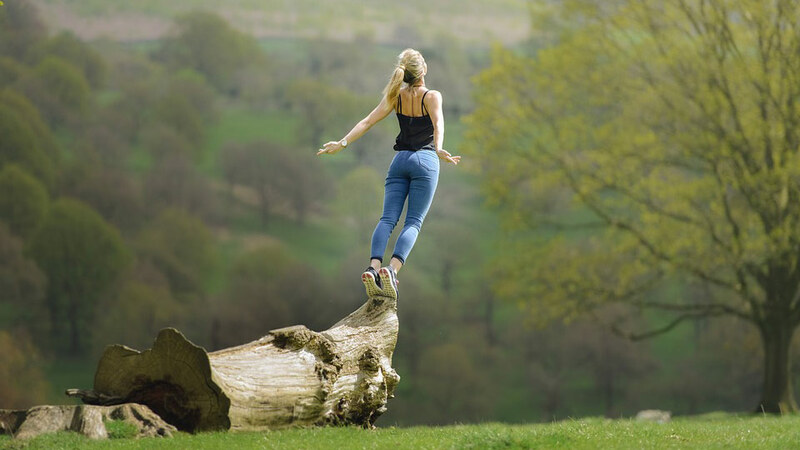 To obtain the certification from Duke integrative medicine, you first need to complete their full foundational course. Overall, there are various modules that you need to take and pass to get certified. There are two different options for the in-person opportunity at their university or the online foundation course. The in-person foundation course is eight overall days at the Duke University. There will be two separate four-day modules 6 to 8 weeks apart. The online foundation course is 16 live webinars that are three hours each and once a week. The overall duration is 18 weeks long. This park can only be completed once you have done the foundation course with Duke. This course is done entirely online through virtual classes and conference calls. One needs to provide evidence of having a minimum of four clients and 100 hours of coaching experience. In the end, there is an oral exam as well as a written exam that you need to pass. The prerequisites to apply for the Duke health coach certification is a bachelors degree or higher, or approximately 3 to 5 years of full-time experience in a health-related field such as physical therapy, exercise physiology, nutrition, medicine or many others. How much does the Duke health coach certification cost? The price for the foundation course (both in-line and in person) costs $4,440. The cost for the certification course is $1,440. The overall cost for both the foundation course and the certification course is $5,880. Overall, the Duke integrative medicine program is very in depth and one of the hardest health coach credentials to obtain. This is an excellent certification for individuals that have been working in the health and wellness industry for a while and would like to obtain training in behavior modification therapy for their patients. Different, yet valuable information is contained in both the foundation course as well as the certification course. It is a very valuable credential coming in close to $6000 can be difficult for most people to swing. Also, if you would like to get your name up on the official list of certified Duke health coaches that are on their website, you need first to purchase professional liability insurance. I thought this was silly. The last wellness certification program on this list is also one of the most complex with three different health coach certifications being offered. If you are going for one of their three available health coach programs, look to spend approximately six weeks completing each one. The certifications follow Dr. Sears popular LEAN system. LEAN stands for lifestyle, exercise, attitude, and nutrition. In addition to getting certified, the program also encourages its certified health coaches to teach their seminars and workshops. There are no prerequisites to apply for the Dr. Sears health coach certification. Let’s talk about the six different health coach certifications. Adults and seniors coach: This curriculum is composed of information that will help change the lives of senior citizens and adults. You’ll learn behavior modification, healthy lifestyle choices, cognitive function practice and stress reduction techniques. Pregnant and nursing coach: This certification is targeted towards pregnant women and post-pregnancy women. Focuses on the importance of eating right, reducing stress, getting back in shape and how their spouse plays a vital role in a positive pregnancy experience both during and after. Family coach: The health coach certification for families is aimed at strategies to motivate and educate families as a whole. A strong focus on lifestyle choices and preventing childhood obesity. There are also packages to purchase to do to health coach certifications at a time. For instance, you can do the pregnancy and families certifications together, the adults and families certifications together or all three of them together if you would like. Dr. Sears Also has a master health coach certification. This super certification lasts approximately 30 weeks long and is an online-based program. This master health coach program is mostly designed for individuals that would like to pass the ICHWC (international consortium for health and wellness coaching) exam. Your the study materials that are provided you with the Dr. Sears Wellness Institute certification. The physical books and course materials will be sent to you. Peer interaction: The ability to express your ideas and learning concerns over conference calls and discussion forums. Life support – whenever you need a question you can contact the live support team. How much does this certification cost? Each of the three health coach programs costs $895 each. If you would like to get two programs for a combined price you will be spending approximately $1250. If you would want to get all three together, it will be $1550. If you are trying to obtain their master health coach certification, the cost will be approximately $3000. In addition to the initial cost of the certifications, there is also a yearly recertification fee of $145. Overall, a very in-depth course. I like how you can do one certification at a time or three all at once if that suits your needs. It allows you to pick and choose and specialize in each area of health coaching. It’s excellent for those non-health or fitness professionals that would like to get started in health coaching due to they have no prerequisites. I like the study materials that they provide and the support that comes with each certification. One thing that I did not like is the yearly maintenance fee of $145. Most certifications require this every two or three years. Well, that’s about it ladies and gentlemen for my best health coach certification article. Overall I would have to give the winner to the ACE health coach certification because it is a relatively cheap option, has fantastic study materials and is widely recognized as a great certification both by employers as well as the NCCA. If you have been working as a licensed health care practitioner, I think that the NSHC certification is a great option as well as it has comparable prices and excellent study materials to the ACE health coach certification. Let’s pass this conversation over to you guys and gals. Which health coach programs have you guys come through? What were your experiences with them? If you have any other questions or recommendations for this article, please don’t hesitate to share in a comment down below! Thanks! This was very helpful. I’m a physical therapist and found this overview great as I’m looking into starting to be a health coach. Hey Caitlin, Thanks for the kind words and good luck becoming a health coach! I am not too familiar with the health coach to to that you are talking about. I will definitely have to look more into it and included in the information on my website in the future. Thanks for the heads up! Thanks for your overview! Have you come across the Integrative Institute of Nutrition or the Health Coach Institute. Would be interested in your thoughts on these two programs vs the 5 above. Thanks! I am not too familiar with that health coach program but I will definitely take a look at it and see what they are all about. 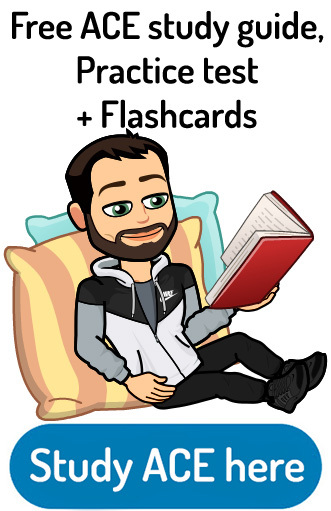 Thanks for your input as I am always trying to make my website better! Is definitely a legitimate option Maria, it’s great that you have done your own research as well as having other friends that have gone through the process themselves. That is always one of the most helpful things! Fantastic advise thank you < for me i don't have any background so i guess the best is Dr. Sears i saw it in another website and i like what they offer< i am 45 and have become obsess with health and fitness so i think its my best approach < what do you think ? This is a very legitimate health coach certification. Personally, coming from a personal training background I thought that ACE was the best option for me. 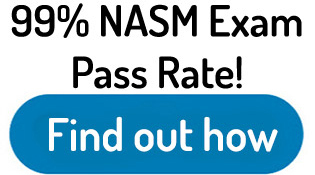 Be aware that NASM also just recently released a nutrition certification called the NASM CNC (certified nutrition coach) certification. This combines a lot of information on nutrition but has a superstrong focus on behavioral change as well. For that reason, I am basically considering a health coach certification that has a very strong emphasis on nutrition as well. I highly recommend checking that out if you are interested. Good luck becoming a health coach!